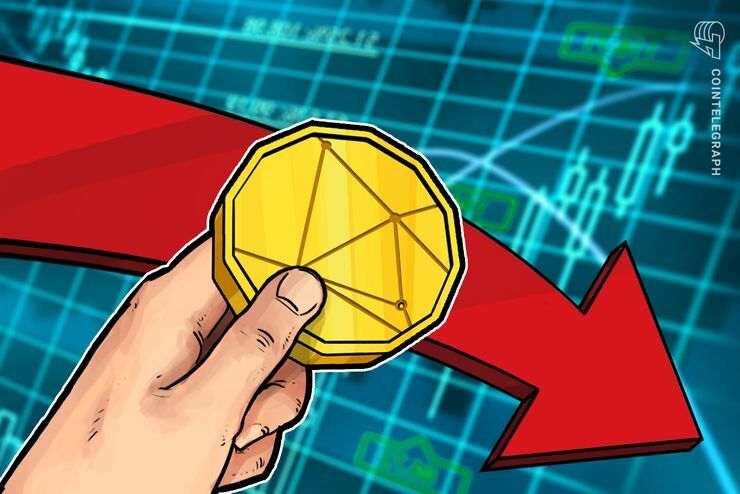 Thursday, September 6: crypto markets are blisteringly red, with virtually all of the top 100 coins posting hefty losses on the 24-hour charts, as Coin360 data shows. Bitcoin ( BTC) is trading at around $6,492 at press time, down almost 6.32 percent on the day, according to Cointelegraph’s Bitcoin Price Index. Having broken through the $7,000 threshold August 31, Bitcoin saw a solid uptrend until its sudden plummet yesterday, September 5. The top coin is now around 8 percent down on its weekly chart. On the month, however, Bitcoin remains up by around the same figure of 8 percent. Ethereum (ETH) is trading around $225 at press time, losing 8 percent on the day. Following upon an intra-week high to scrape $300 September 1, Ethereum traded sideways around $290 until yesterday’s sudden descent. On its weekly chart, Ethereum is down a hefty 21.8 percent, with monthly losses burgeoning to 44.8 percent. Many of the top ten coins listed on CoinMarketCap are seeing significant losses, with Litecoin (LTC) down 7 percent to trade at $55.92, having traded as high as $69 September 4. Ripple (XRP) is a significant outlier, surviving the day’s dump relatively unscathed, up 2.15 percent on the day to trade around $0.30. Having plummeted in correlation with other major cryptos, the asset has seen a strong bounce upwards in the hours before press time. Among the top twenty coins, most losses are at five percent or higher, with IOTA (MIOTA), down 6.41 percent on the day to press time. VeChain (VET) has also lost almost 8 percent on the day to trade at $0.015. Many other smaller market cap alts are seeing double digit losses, showing strong correlation with larger crypto assets. Total market capitalization of all cryptocurrencies is just under $205 billion at press time, down over $35 billion from its intraweek high of just under $240 billion.